As I plan out a list of tutorials for the Blog, I have decided to group the tutorials into two different categories -- Beginner Tutorials and Advanced Tutorials. I thought about having a third category of intermediate tutorials, but then I couldn't think of any clear cut examples of what would qualify. Beginner tutorials will be directed towards people who may have some programming experience, but are new to the Android platform. 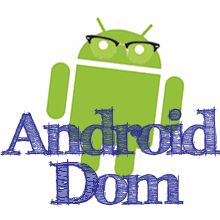 The goal of these tutorials is to provide a thorough introduction to many Android concepts and to provide examples that are practical applications. These tutorials will build off of each other. Advanced tutorials will assume more knowledge of Android concepts, and can be read a-la cart. Many of them will be based off of situations that I encountered that gave me some trouble in building my apps. One final note, please feel free to comment on the blog and request for a tutorial on a certain concept. I will try to answer any questions that people ask. Thanks for your comment. I think that this is a great idea for a tutorial and I will be working on making right away. Expect to see something in a couple of days.